An explosive wildfire that closed down dozens of miles of a major California freeway nearly tripled in size overnight, just weeks after a nearby blaze that left neighborhoods in ruins and killed eight people, officials said Thursday. Truckers abandoned their vehicles Wednesday as flames roared up hillsides. In a video, a passenger in a vehicle screams: “Oh my G-d, I want to go!” as trees burst into flames and sheets of fire roiled on the side of the roadway. 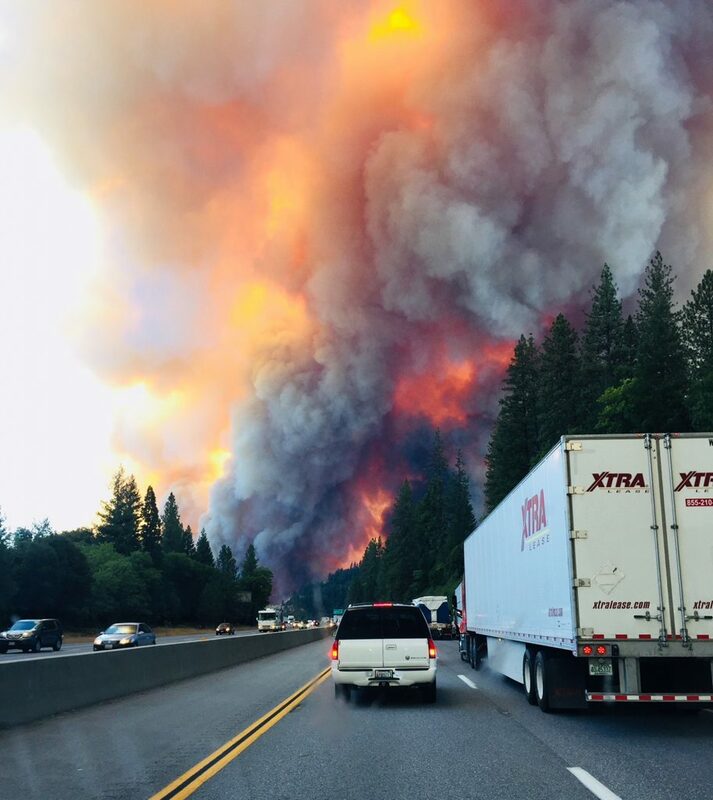 About 45 miles of the I-5 were closed in both directions, said Chris Losi, a spokesman for the Shasta-Trinity National Forest. Officials from different agencies will meet Thursday to determine if they can reopen the highway, which is a key route for commercial trucks, said California Highway Patrol Officer Jason Morton. The fire was showing “critical” behavior — burning fiercely and moving rapidly — but was still far away from any large towns, he added. The city of Dunsmuir, with about 1,500 people, was about 15 miles from the fire. Residents were issued an evacuation warning, urging them to be prepared to leave if the fire threatened.